There are many different types of running shoes on the market, all designed for specific purposes and different types of running. For instance, a running shoe that is meant for the road has completely different design features than a running shoe meant for the trail. In this article, we will highlight key features of trail running shoes to help you better understand why they work best for the trail. There are two key features in trail runners that make them ideal for running on trail surfaces: For one, they have better traction for rugged terrain, and two, they protect your feet better from rocks or roots that you may encounter on a trail. For instance, the Brooks Cascadia 7 Men’s Trail Running Shoes feature an intuitive lug pattern sole that is tough enough for almost any terrain. In addition, a ballistic rock shield and toe protector incorporated in the shoe ensures your feet don’t sustain injuries from debris on the trail. 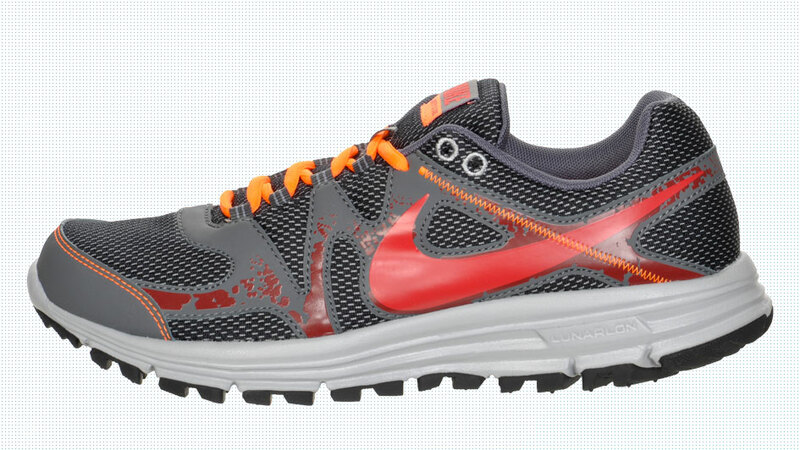 The Nike LunarFly+ Men’s Running Shoes have similar design functions that also make them ideal for running on a trail. The Lunarlon cushioned outsole is encased in a resilient foam exterior for a Dynamic Support configuration that will prepare you for even the most rugged trail conditions. The shoe also features an aggressive outsole pattern that is highly durable, making them perfect for the road less traveled. Overall, trail runners offer the durability and protection needed for running on rough terrain. So if you enjoy getting out of the city and onto the secluded trails for a run, make sure that you have the proper shoe attire.